How fun to be able to participate in Our Daily Bread designs' blog hop today! They are celebrating an exciting batch of newly released stamp sets and exclusive dies, and the team was so gracious to let me join along. I have designed the Wood Background and also the Fall leaf set called Randi's Song that are being released today - that makes those sets so much more special to stamp with! Fall is my favorite season and it's especially hard for me to be away from home at this time of the year... I miss watching the seasons change, miss the crispness of the air, the pinkness of the late afternoon, not even to mention apple picking, pumpkin pies, and so much more... but I know the Lord has us here overseas to accomplish His purposes.... those things I have left behind to follow Him are such a small price to pay. He truly is faithful! If you're a regular reader of my blog and just happened upon my section of the hop, you may want to start at the beginning. Prizes are involved!! The ODBD Blog is the place to get started - actually you'll start and end the hop there, and if you should happen to get lost in between, you can always go there for a complete list of links. If you came to my blog from Marcelle's blog, you are doing just fine. My card is a gatefold card, 5" square. I started with the Wood Background, stamping it in Versamark ink on glossy cardstock, then sponging Memento Rich Cocoa ink over the top. I used the Brocade Background just in the corners, for a faint accent. The hymn verse is stamped in Dark Brown chalk ink on copper flecked cardstock, and layered on a handcut label, which is also stamped with the Brocade stamp. For the leaves, I used the small solid leaf in the set, and stamped it on misted watercolor paper in several different fall colors, allowing the colors to run and bleed. When the paper was dry, I stamped the leaf block three times, and cut around the leaf image. I stamped the leaf veins twice, and cut those out, too, arranged all the leaves on my card, and then attached them with Crystal Lacquer. I added somd Crystal Lacquer to the veins of the leaves, and dragged it around a bit with a toothpick until I got the look I wanted. You'll be going to Randi's blog next: Randi's a New Creation. You might have noticed Randi's name in the name of the set I used. Randi is facing an upcoming cancer surgery, and this set is especially meaningful to her, especially the words from the hymn, Great is Thy Faithfulness. So go leave Randi some love to strengthen and encourage her, shoot up a prayer, and then continue on to the ODBD blog (you'll need to go back there anyway, to leave a comment, answer their question, and let them know you've hopped your way through all the designers' blogs!). Hi Dina! What a special treat to have you join us on the hop this month! Your sets are just beautiful and you've certainly showed them well! I love everything about this card... the crystal lacquer on the stems is a great touch! It's all in the details and you have captured fall here for sure!!! Thanks for joining us!!! The leaves are purely gorgeous!! Very beautiful,what you did with the leaves is awesome. So beautiful ! I really like this wood stamp so many uses for it the leaves are gorgeous! What a gorgeous card! Those leaves look REAL! Your card is beautiful. The leaves really pop. A great layout and sentiment. Dina....this is the first time I have visited your blog and I am so happy I did. You stamps are amazing and count on me being in your Etsy shop. I wanted to tell you that your wood grain stamp is the most realistic one of its kind that I have seen. Wonderful, wonderful work. Oh....you card is nothing less that amazing also!! I'm so glad you played along with this hop!!! I hope your day is full of blessings!!! 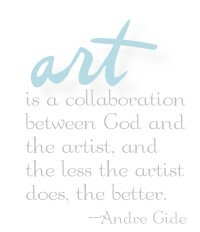 PS~Also, you quote in the top right corner of your blog, by Andre Gide...AWESOME! Love it! Wow! andd Wow again. What a beautifule card. I have to say all the cards on this hope have been beautiful but this one takes my breath away & is my favorite. Thank you for sharing. you have made a lovely fall card. I hope the Lord will help Randi out once again. Love the colours--what a great idea for making them! TFS. Your card is beautiful. I especially love the coloring on the leaves. The gated card is perfect for this woodgrain stamp!! wow, the leaves are gorgeous also. beautiful work! 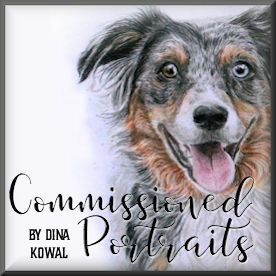 Hey Dina, thnaks so much for guesting this month! Let's do it again for the next set!!! Take care! I must have that wood background stamp, this is truly amazing! What a gorgeous Gatefold card Dina. Love the woodgrain and leave stamps that you have created, definitely something that I would use and may NEED to purchase. I love your card, it reminds me of the lovely old barns we have here in our valley. You have been blessed with a wonderful God given talent, thank you for sharing with each of us. Blessings to you. Beautiful!!! Your leaves are georgeous!! They look real. Am a lover of autumn also . Love the leaf stamps and you chose such great colors! The wood background is perfect. Such a "simple" card but so effective! LOVE IT! You have captured fall perfectly. Those leaves are georgeous!!!! Ohhh GORGEOUS - Dina! Love your work and the fall feel of the leaves. TFS! I'm always looking for masculine card ideas and this is perfect. I love those leaves, thanks for the explanation. Gatefolds are among my very favorites. Really liked your card, Mama D.
Woohoo Dina! So glad you got to play with us this hop!! Thanks you for these beautiful sets!! Fall is my favorite time of year and I so love a wood bg!! Your card is beautiful...your leaves...awesome! yup, it'll have to be on the other side we get together to color!! Just beautiful! I do love those leaves. Thanks for sharing! This is so wonderfully rustic and reminds me exactly what fall is all about. Thanks for all your design work. Dina, this is so pretty and different. I love autumn, also, and this card is perfect for the season. Thanks for sharing. Your treatment of the card is so different and I like it very, very much! Your card is so beautiful! I like the fact that it's a gatefold design, it makes it even more dynamic. I love the materiality of it. This season is all about the senses. There seems to be so many textures from the rope cord to the wooden background and the softness of the leaves. It's interesting how sensory your card is even though it's seen virtually. Love it! Quintessentially Autumn! WOW!! I've been blown away by the talent on this hop, but this card....too much for words. Stunning! Very creative! Such a nice Autumn feel. The colors, layers and textures are perfectly balanced and very appealing. This is gorgeous Dina!! I am so glad you are back to join us for the hop!!! So appropriate since you designed these sets. Your card is gorgeous! Your leaves look so real! Your card is beautiful, I especially love the colors of the leaves, so very vibrant. A truly beautiful card - the leaves look so REAL! I am totally in LOVE with that amazing background woodgrain stamp - great job & thanks for sharing! I love everything about this card. I especially love the "gateway" you created. It is very cool. Wow - what a great card! Love it! What a lovely card, Dina! What fun to have you in the ODBD Hop! I'm really loving the sets and your card is just perfect! Beautiful work! This is so lovely. I am going to try your technique of spritzing watercolor paper with different colors. The outcome is beautiful. Dina this is gorgeous..those leaves look so real. I would like this stamp set. Dina, first let me tell you that I love this new set you've created (well both of them - but especially Randi's Song) - it is a must have set. The card you've created to showcase it is stunning. I love the gate fold and those leaves are gorgeous. Thank you for explaining how you did them. These stamps are awesome. Can't wait to get them in my stash. Grateful for your creativity and fo sharing it with the rest of us. Very creative and gorgeous use of the new stamp sets. . .love your card and the rustic elegance! Blessings! Love this crad. The leaves are absolutely gorgeous. The stamps you designed and the card you created are all so beautiful and artistic! What talent! Can't wait to see more of your work!!! Very cool card! I love your backgrounds with the stamp and sponging, then those leaves, Wow! Very nice! Thanks for the info how you did it! Dina, you are one talented lady. These stamps are definitely must haves!!!!! And your card just dipicts the word fall. 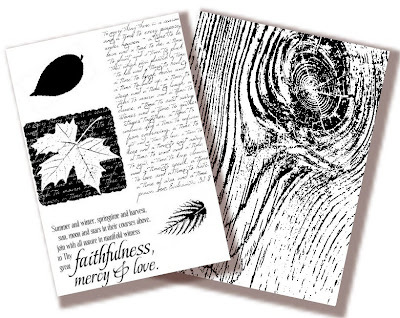 I just love the woodsy background stamp and those leaves are really gorgeous. Thanks for all the inspiration. I know Randi truely appreciates it. God Bless. Love the way you have used different techniques. What a beautiful and rustic looking card! So lovely!! WOWEE, ZOWEEE!! gorgeous card! your stamp set is definitely a must have for me!! Your creations are so very lovely. Thanks so much for sharing your talents with all of us! Beautiful card, beautiful stamp sets! Thanks for sharing your obvious, many talents. Congratulations on such a beautiful stamp set design! I believe you have a hit on your hands! You have designed a lovely card as well. Gorgeous card and just my colors! You do lovely work Dina. Dina, so wonderful to have you join us! These sets are wonderful and your card today is beyond stunning. Those leaves are absolutely brilliant!! Dina,Great card. NOw, I have more sets on my wish list. Lots of uses for the wood bg. Dina you did a fabulous job designing these sets and an equally fabulous job on your card. WOW!!! this absolutely gorgeous!!! I love everything about it!!! Just beautiful, I love the warm colors and simple design. I can almost see the leaves falling and feel the crisp fall air. Wow!!! You are one talented lady!! I love the way that you scattered the leaves accross this panel card. I love the use of all the fall stamps. The colors and scripture sentiment in your card are just beautiful. Thanks for the ideas. A stunning Fall card -- and I'm more than ready for it here in AZ where it is still summer weather. Thanks for giving us something to look ahead for -- your card is beautiful! I, too, love this season! Your love of it shows in the Randi's set - I ADORE it! Your card is wonderful, too; it's something I'd love to receive at this time of year! Thanks for the inspiration! I love cards with leaves and yours are spectacular. Thanks loads. Great card. I love the way you did the background and how the leaves add such great color. wow - those leaves are so realistic and really love the technique you described. Also, what a lovely reason to produce a set of stamps, a sad story, but a reason borne of love. I'm sure that very gesture will give her much strength. Truly Beautiful. I love fall and this is it.. changing leaves, color and inspirations. Thanks for sharing your talents. Wow! So you make some of the magic behind the cards! How talented to be able to draw these items. God has surely gifted you. I love this card. It is amazing! It is beautiful! I love the depth of the card. It looks as if it is inches deep. The way you worked the wood is beautiful. At first look, I thought the leaves were a prop...and then I remembered they are part of the stamp set. You really made them appear real by adding the details to the leaves. I love the veins! The colors are fabulous. Thank you for sharing some of your technique! THAT is wonderful, too! Thank you! WOW - you are an amazing artist!!! LOVE how you did the wood--it looks real. The leaves are gorgeous! you are amazing! Love it, beautiful piece of art as usual! Hi Dina! I was so excited when I saw your name on our blog list! I love these sets you created!!!! That wood background is perfect and gorgeous!!!! Love the knot in the design!!! Your card is amazing too!!! So glad you joined us and hope you have a great weekend! This card sure makes me miss the season's of Colorado! So realistic! Exquisitely done! The bright leaves pop so nicely against that wood grain. Love it! That background stamp looks like a must have. Your leaves are gorgeous. Your card is beautiful, and the leaves - WOW. Nice job getting the leaves to look so real. Stunning! The way you colored those leaves is amazing! Your card is beautiful. I love the color of your leaves. Just like my favorite season fall. Amazing job of stamping. Beautiful card. Congrats on another beautifully designed set! Your creativity is amazing! Wow! You did a fabulous job using that background stamp!! Gorgeous card and technique! The new releases are fantastic, as expected! God bless! A very lovely card. I love the colors--the leaves are gorgeous. saved the best for last, your card is a definate favorite for this set! Beautiful card. The leaves look so real. Great technique! So pretty! The leaves really pop out on the woodgrain! You are amazingly talented. I love your designs! What wonderful design work. Love the sets you designed. Your card is also a work of art. Thanks for sharing. Thank you for sharing your gorgeous card. You captured the beauty of Fal! Love your layout. oh, I love what you did with this! I really love everything about this card: gatefold is a favorite, bg is beautiful, leaves are stunning, and the twine closure is perfect. Thanks for the inspiration. I just love it! The gatefold is a great idea, too. Thank you for the instructions on the leaves. The look so real! You have really designed some beautiful stamps and I love them both:) Your card is just soooo beautiful. Love your card. Says Autumn to me. I'm so glad you joined the hop. Your card is delightful. Your leaves are very pretty. Great for a maxculine card indeed. Your card is beautiful, you have designed 2 very wonderful sets! They are both must haves! Love the rustic feel of this card. I can just 'hear' the leaves crunching beneath my feet! One way or another, I have to have this set. Thank you for sharing your talent! So glad to see you on the Blog hop today! AND the new set you've designed. I can see a lot of uses for the leaves and sentiments in this set. Dina, Beautiful work creating the gate card and thanks for designing the wonderful stamp set. Great card. Love the leaves. I love the gate fold card and the leaves are beautiful. Gorgeous fall card. Love the sets that you designed!!! Your card is stunning! This gatefold card is so pretty. The leaves look like they just drifted down off a tree and landed strategically on the card. So realistic looking! What creativity you are talented to have. Lovely card! Beautifully designed and executed! Love love love the leaves! Love the fall leaves and the wood grain. Gorgeous!!! I love the quiet detail of the background that lets the wonderful sentiment stand out. Thank you. This is just gorgeous! I am loving the leaves. Wow your card is great!!! Just beautiful!!! Sooo very nice! You did a great job on the colors for your leaves. Beautiful card. Thanks you for sharing. Wow, is this ever a wonderful card. I love the wood and the colors of the leaves. Just beautiful. Dina - I have never seen your blog before, but I know I'll be back. Just love the look of your card. Thanks so much for sharing with us. I love this card because I love fall. The use of the leaves is so clever. Hi Dina!!! Sorry I'm late - I've been away for a few days!! This card is absolutely AMAZING!!!! Love the way the Wood BG looks and those leaves look INCREDIBLE!!!! !